1) My wife is an Eagles fan (poor choice by me) and her brother is in town from Philly. 2) Really amazing that the greatest Philly WR in franchise history is Freddy Mitchell. 3) Eagles won last year 28-23. 4) The Eagles have been around since 1933, and embarrassingly only have 1 Super Bowl Championship. Panthers aren't looking good offensively and defensively right now. We need to make adjustment soon otherwise this game will end ugly. I hate to say it. I like Rivera. He's not a bad coach. With that said... our team philosophy is out-dated. Rivera's defensive scheme isn't stopping these new age offenses. Teams are just nickel and diming us, and it isn't like our defensive personnel is bad. We're not even challenging some of these catches. And offensively? Ew. Norv Turner's play-calling has been meh the last couple of weeks. Offensive line has regressed to the mean. Losses happen, and we could very well make a comeback. And losing to the Eagles isn't the worst thing in the world. But we barely look competitive. Eric Washington is an F at defensive coordinator. 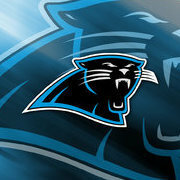 The Panthers have given up TD’s on 11 of 14 red zone attempts. That’s not good. Not sure how much longer Rivera can go without taking over defensive play-calling. What a nice play from Smith !! !